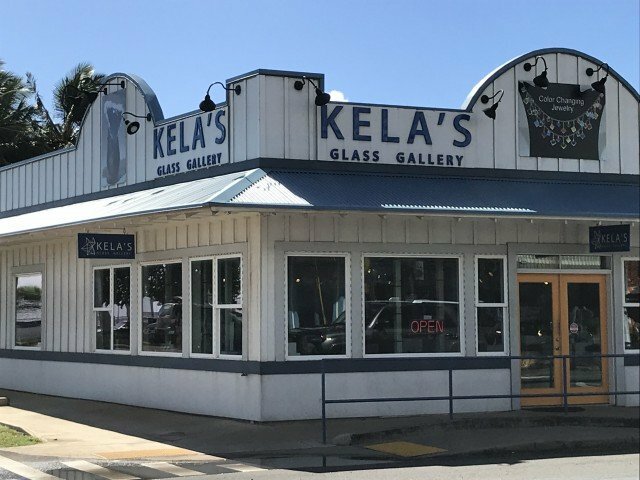 For the finest glass art on Kauai, be sure to stop by Kela's Glass Gallery in Kapaa. 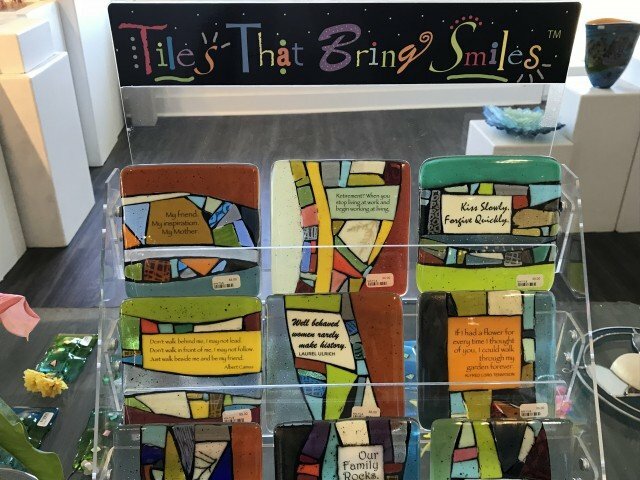 Now in their new location across from the Kapaa sports field, Kela's offers individually, hand-crafted glass made by domestic artists, including 15 from local artists. The owners pride themselves on selling no foreign imports. I stopped by the other day and was blown away by their selection. Walking through the gallery I was impressed by the variety of glass art. There are glass sculptures, fish and sea life, platters, bowls, paperweights, vases, candles and perfume bottles. 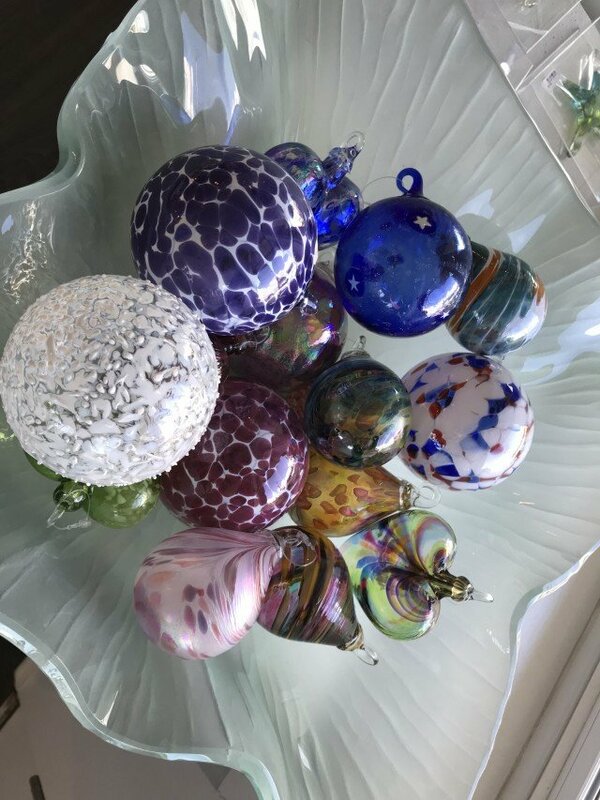 I loved these glass balls for home decoration or Christmas ornaments. I also thought these glass tiles would make the perfect souvenir for the person who has everything. 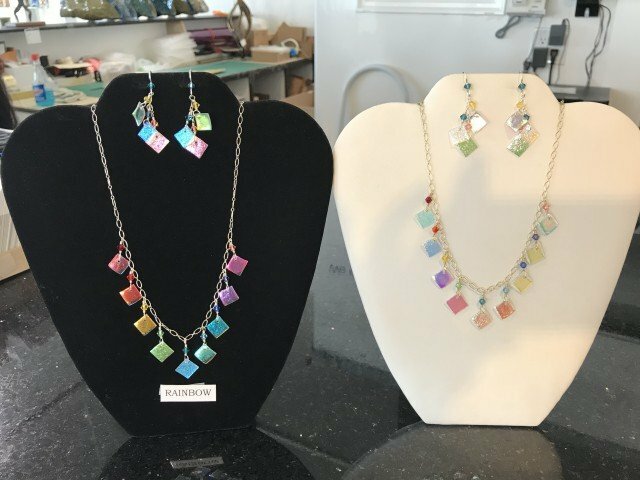 As mentioned in the video, Kela's Glass Gallery also features color changing jewelry made by the owner, Mimi. The glass charms on each piece of jewelry change color depending on the background. Here is an example of two identical necklaces, one on black and the other on white so that you can see the difference. A unique concept, you have to admit. "I feel like such a cheeseball saying so, but we found this place after seeing them advertised in the Hawaiian Airlines magazine. I'm a huge fan of glass art, and this place was like a candy store! 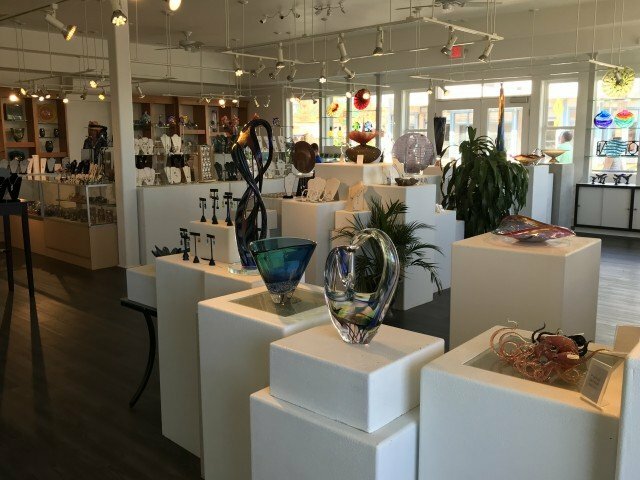 Over 150 glass artists represented- and the owners are so friendly and helpful- without being pushy. Thought I was just going to browse and ogle, but ended up walking away with a beautiful dichroic glass necklace. There are pieces at any price point from $20 to $5,000. A great place to get a unique souvenir of your trip to Kauai. Would have spent more time here had I not been on my way to the airport but I could easily see spending an hour or two just looking at all the beautiful pieces they have on display." We purchase our glass art outright which forces us to make quality buying decisions. Each piece is hand selected and evaluated for quality, originality and value. You may return any piece within 30 days for a full refund if you are not satisfied for any reason less shipping and handling charges. For a luxury vacation rental on the island of Kauai, go to the home page of this website. For more of my blogs or to subscribe, go to the right-hand side of this page. Mahalo!